Think you recognize some of these guys? Look closely! 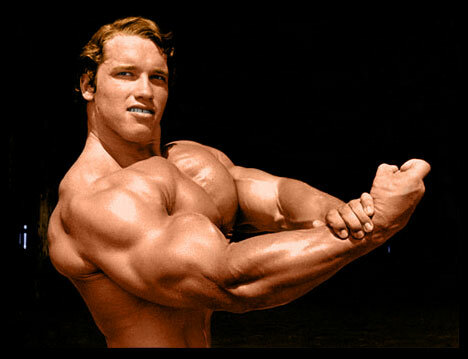 A great picture of my friend Arnold Schwarzenegger when he was just 21 years old, making his mark posing on the beach. 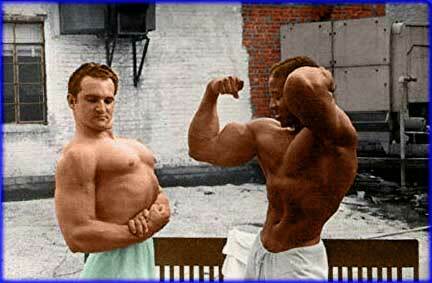 A lean Arnold and a heavy Leroy posing after a big lunch. 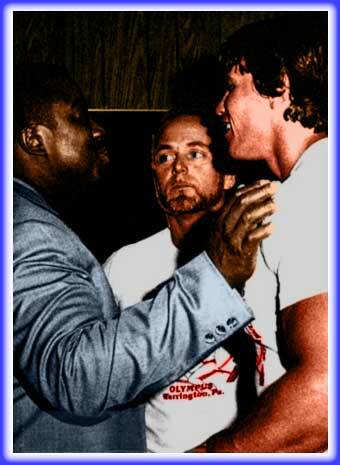 Arnold and Leroy in one 0f their many early verbal disputes with my good friend George looking on. 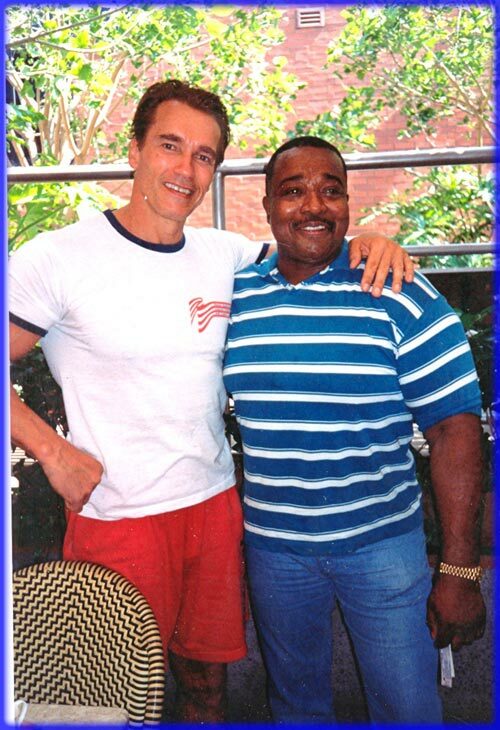 Another early picture of Leroy Colbert and his buddy Arnold in many of our friendly disputes. 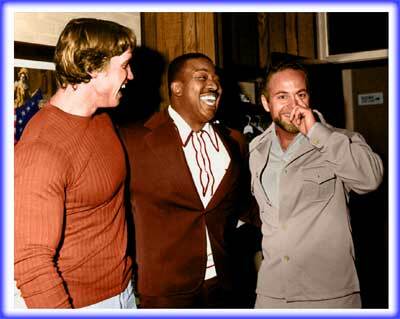 Arnold, Leroy and George having a hearty laugh. 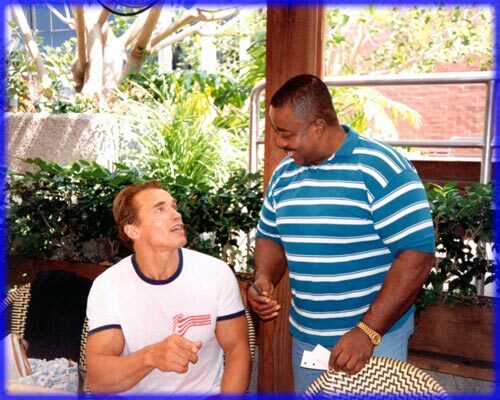 Arnold and I in just one of our many serious conversations. 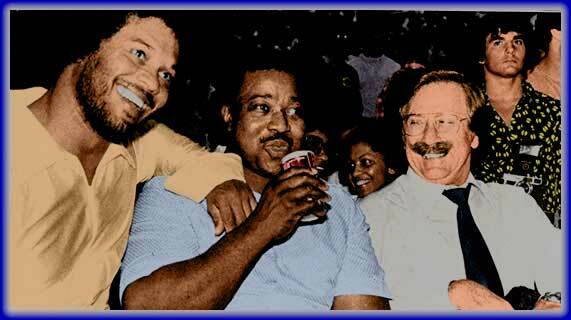 A subdued Franco, a playful young Arnold, and a smiling Leroy posing for the camera. 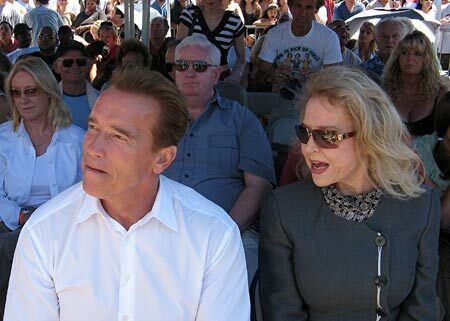 Arnold Engrossed in the performance at the Labor Day 2006 Muscle Beach awards in Venice Beach, CA, while the beautiful Betty Weider is trying to get a word in. I couldn't defend my wife this time. She was on her own. 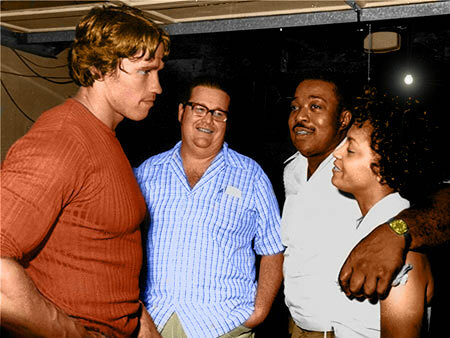 The "always take charge" young Arnold had asked her a question and she was stunned for a moment. 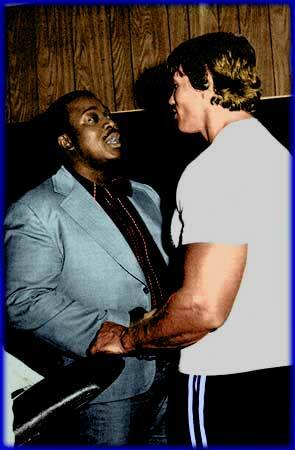 Notice how intense Arnold's stare is! 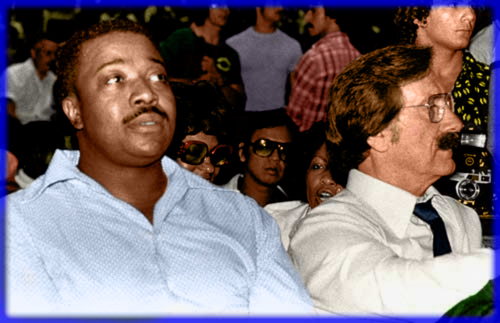 Mario is also waiting for Jackie to answer, and big mouth Leroy Colbert, who usually always has something to say, could only look straight ahead as my darling wife Jackie tried to respond. 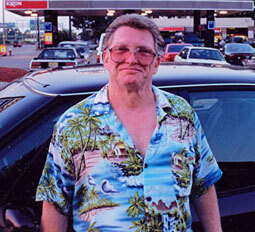 This picture was taken when my good friend George was still married to the beautiful Margaret. a special woman Margaret Snyder and George who looks like he'd rather be somewhere else. There is Maria Shriver, soon to be married to Arnold Schwarzenegger, listening intently to Leroy giving his spiel on life. Enjoying it all is Margaret Snyder, the former wife of one of my best friends, George. 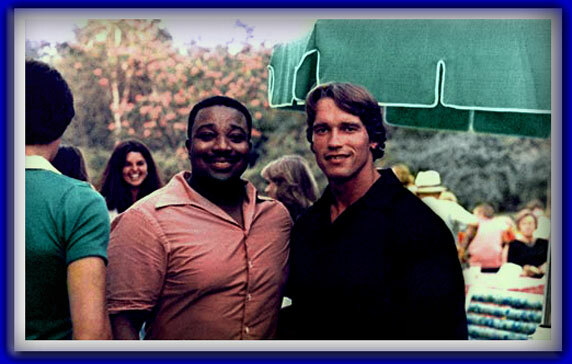 On the right, this photo brings back memories of Arnold’s annoyance that a photographer was interrupting our conversation. 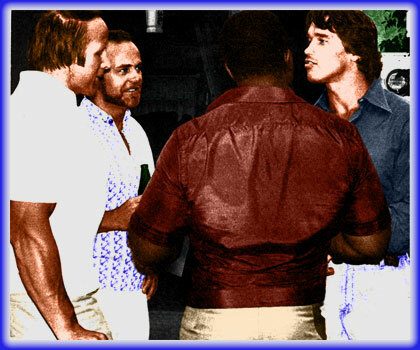 LEFT: How do you like this one, Leroy Colbert's broad back dominating the picture, but Arnold as usual is dominating the conversation.On the left is Mike Katz of sixties bodybuilding fame,George Snyder my good friend and top contest promoter and of course the and only Arnold Schwarzenegger telling us were it is at.but I am there waiting my turn to debate Arnold as usual. 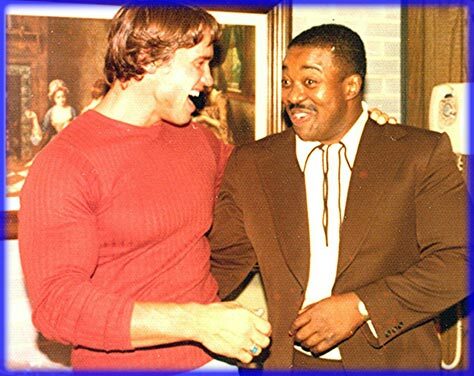 RIGHT: The ever-playful young Arnold Schwarzenegger expressing himself, blowing a kiss to Leroy Colbert, the first man to built 21-inch arms. 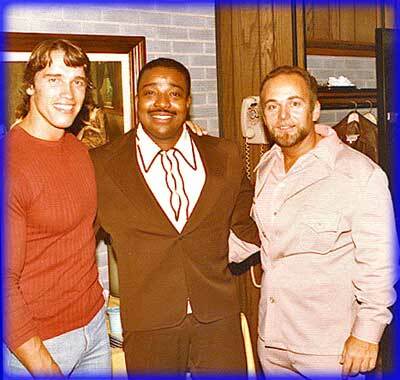 The not yet discovered mega star Arnold and of course Leroy posing for the camera. 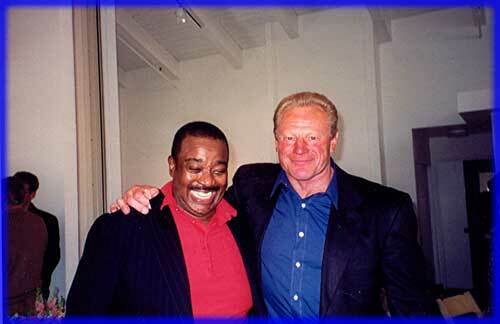 Arnold and Leroy having a hearty laugh from one of his many playful jokes. 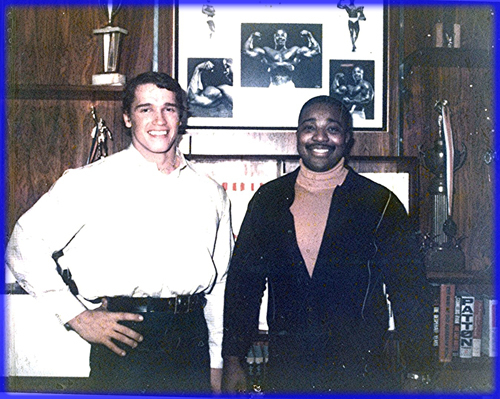 Arnold and Leroy at my house in New Jersey posing in front of my picture and trophy wall. 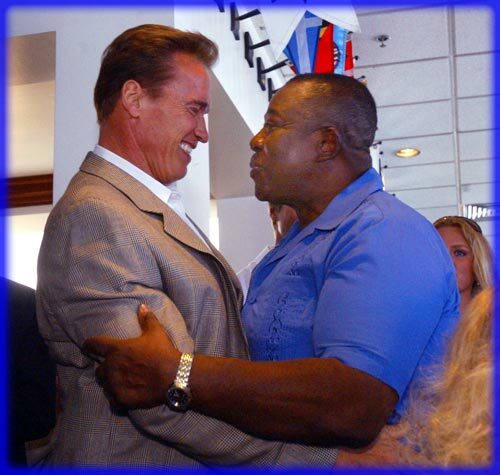 I look at this recent photo taken impromptu a few months ago of Arnold and I and the warm sincere embrace and appreciation of our relationship. 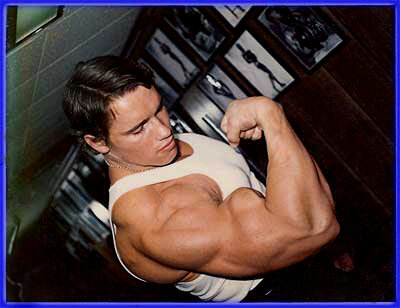 Never too big, too famous, too important, or too rich for his old bodybuilding buddy. 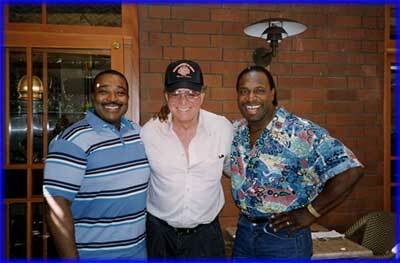 Arnold, Leroy and George posing for the camera. 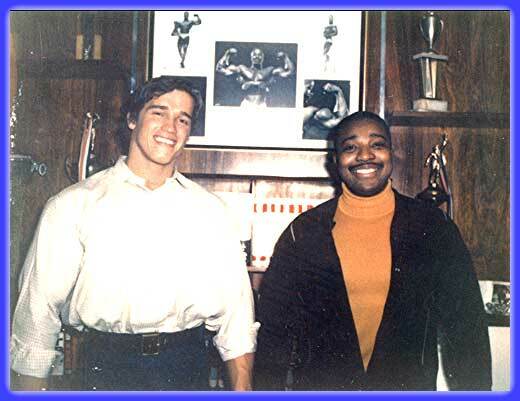 In my basement gym 38 years ago I jokingly said to the young Arnold, "take off your shirt and lets see what you look like." 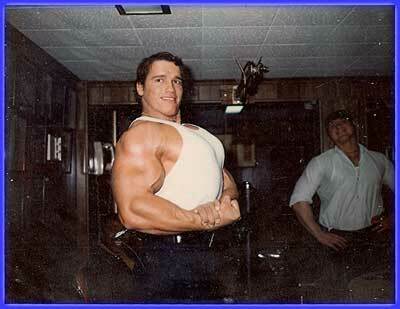 Two early pictures of Arnold's future bodybuilding greatness. 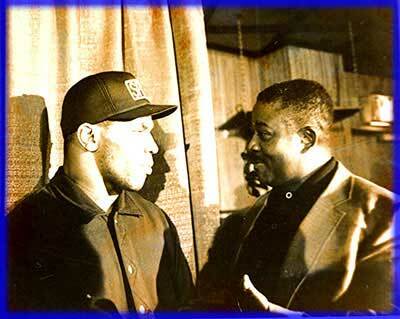 The young Mike Tyson and Leroy Colbert in a serious conversation on boxing and nutrition. 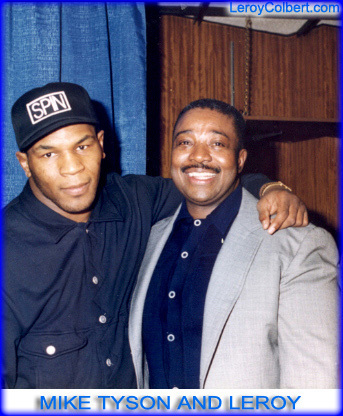 The young mike Tyson and Leroy when Mike was at the top of his game. Very much misunderstood by the public. Mike and Leroy at his press conference. 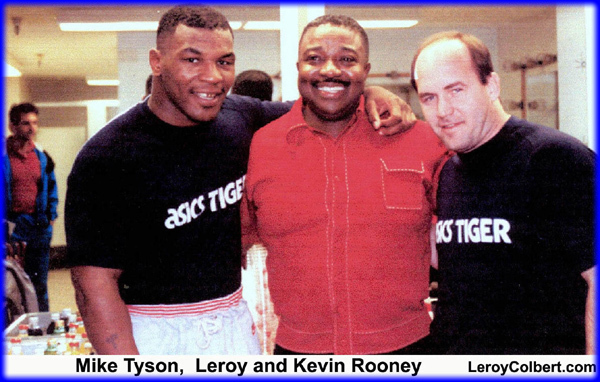 The great Mike Tyson when he was invincible, with me and trainer Kevin Rooney. 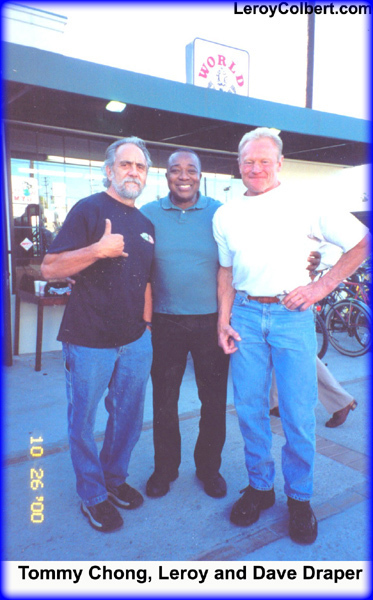 Tommy Chong Of "Cheech and Chong", Leroy and the blonde bomber Dave Draper. Margaret Snyder, to this day a woman I cherish. She is one of the most down to earth practical women I ever met. She is sweet, kind, supportive, and smart. She is also a great cook. Margaret and I sometimes spend hours talking on the phone about the ups and downs of life; I now live in California and She in Pennsylvania, so we talk often. 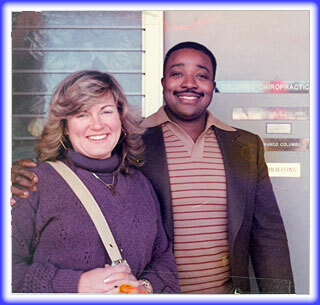 She is the former wife of my good friend George Snyder. Violet, wife of my good friend and training partner the late Ray Jimenez, is a beautiful woman in many ways with a heart of gold, a strong woman who worked very hard to prevent her husband from slipping into depression. Violet and I would spent hours on the phone, talking about life and how best to navigate it. I was honored to be at her wedding and until today her loving friend. 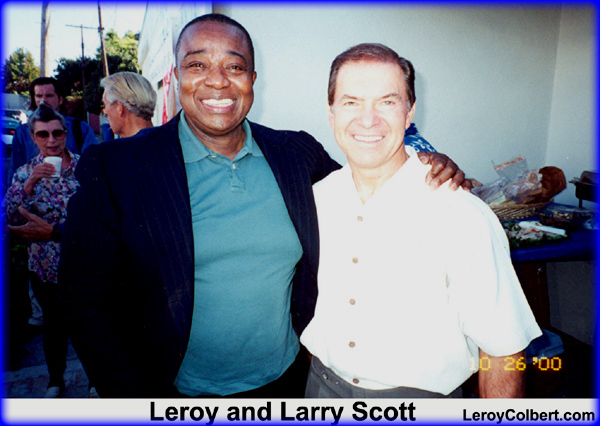 How proud I am, Leroy Colbert, standing next to my buddy of over 30 years, Bill Grant. Besides having a great body, he is also a warm, loving human being. 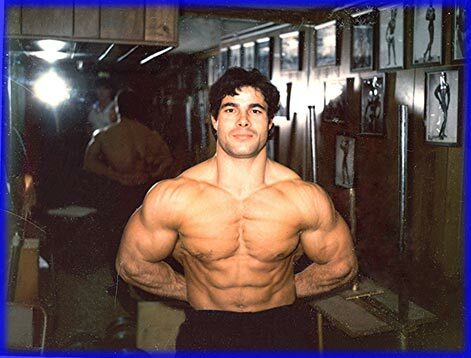 Bob before he started training again. How do you like this picture of my good friend's improvement? 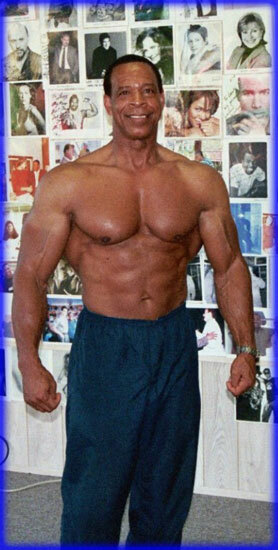 It is dramatic proof of how training can reverse the aging process. Bob had not trained in almost ten years I am so proud of him. Talk about friends, Bob Yorey is one of my dearest. 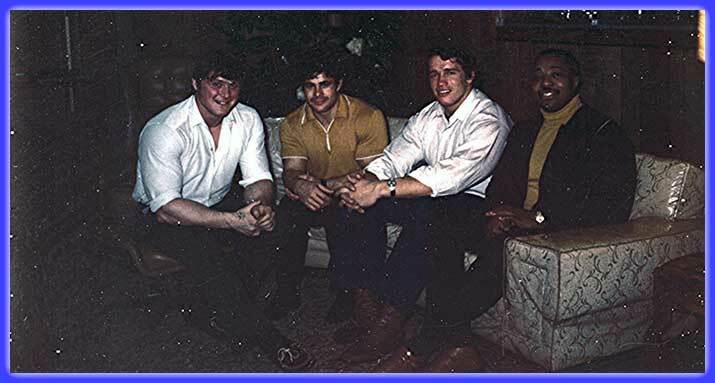 We first met over 40 years ago at Joe Weider's office in Jersey City, New Jersey, and we have been best friends ever since Bob is the rare friend who is always in your corner. There were periods in my life when bob literally saved my life. You couldn't care for a person more than i do for Bob. I wish I had more pictures of my friend to share with you. What words can I use to express my love and admiration for Dave Draper, my life long friend? You couldn’t find a better one. 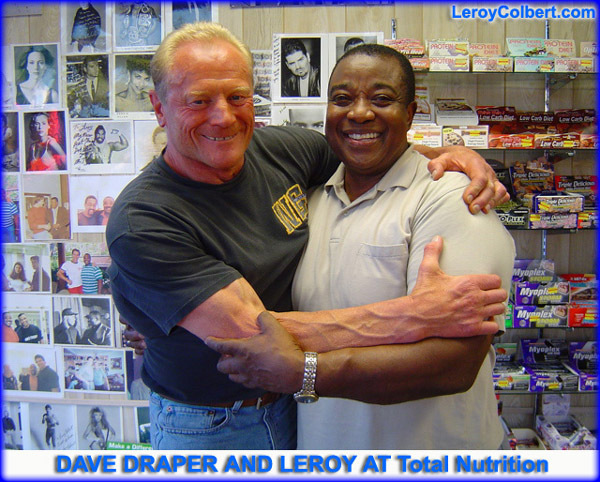 Dave Draper a great bodybuilder and my good friend for over 30 years in a love embrace. 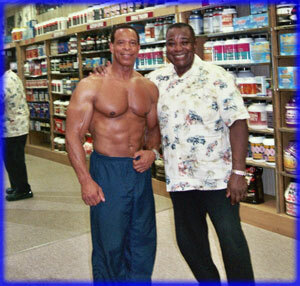 A physical marvel if you ever saw one, the ageless Bill Grant, a sixty year old wonder feast on that body of hard training and healthy living, standing in front of our celebrity wall of photos. They say behind every successful man there is a good woman. 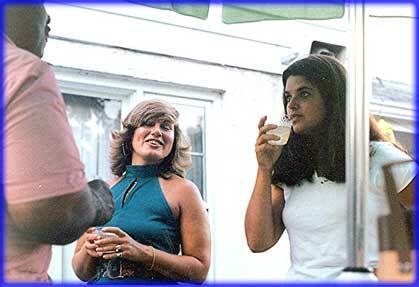 Eva, Bill Grant's wife is proof of that adage. Bill, the creator, and Eva the promoter, are showing off the best creatine combination on the market formulated for Bill by people who know. 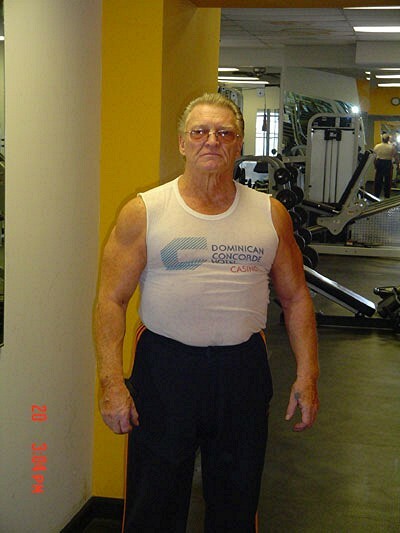 Total Nutrition is proud to carry Bill Grant's Creatine Cocktail. 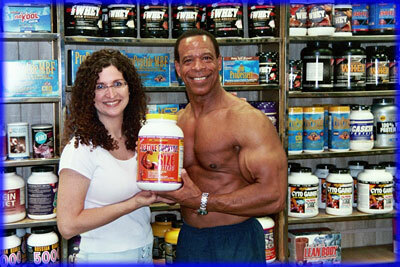 Bill and Eva deserve a lot of credit for bringing such a terrific supplement to bodybuilding. 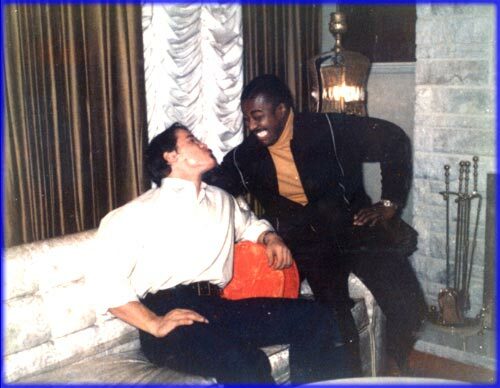 The great Joe Weider amused at my annoyance with former champion body builder Rickey Wayne bending my ear with his usual spiel. 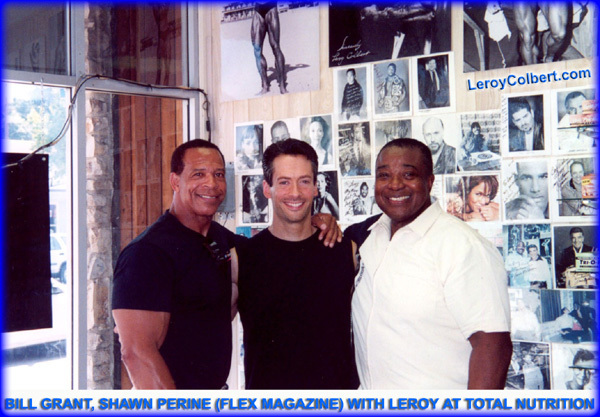 A recent photo of Leroy leaning close to Joe Weider, my good friend mentor and guiding light. 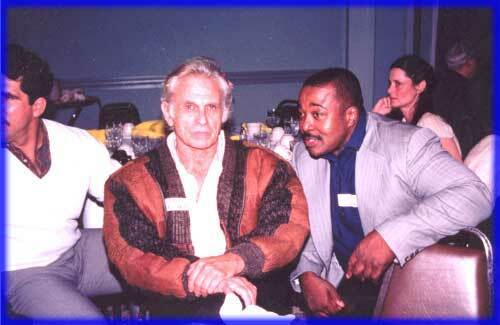 Joe Weider the savior of bodybuilding and my mentor at a contest over 30 years ago notice how serious we look. What a thrill it is for me to see my mentor with his beautiful wife who defies age. 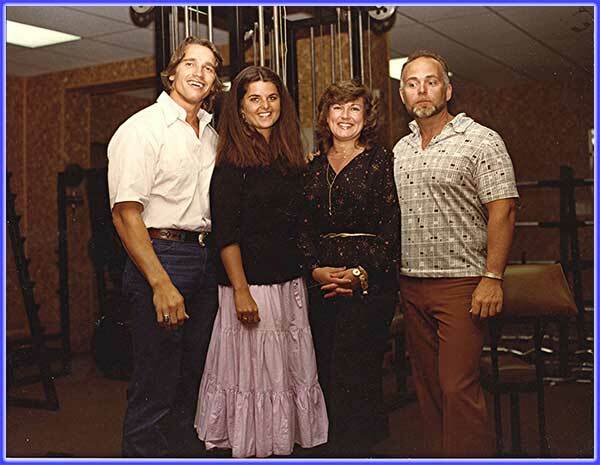 Joe Weider and Betty, what a great combination! It is an honor to post them on my website. 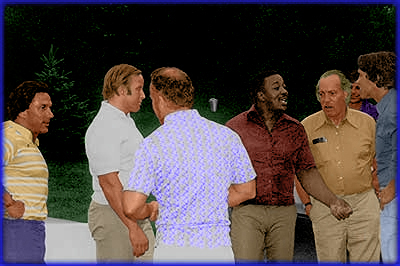 Leroy Colbert sitting between the savior of bodybuilding, Joe Weider having a hearty laugh at something said, that seemed to be not quite so funny to me. 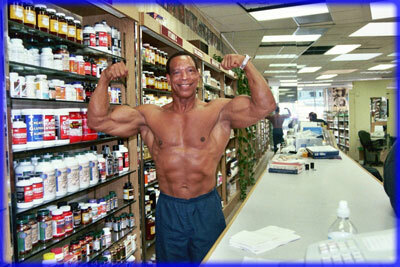 It probably was a joke that Rockey Wayne, a bodybuilding star of the sixties was famous for. 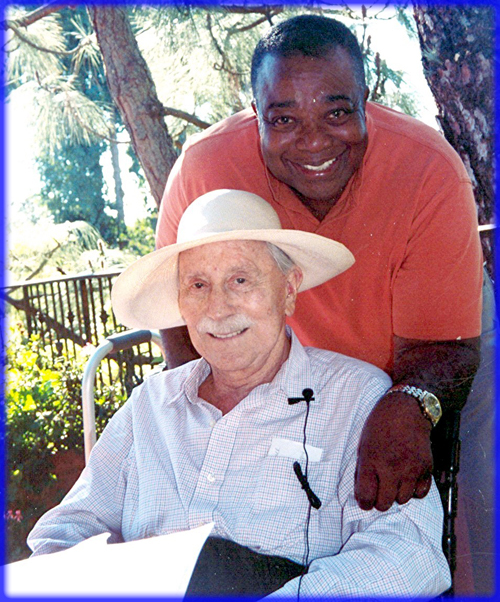 To give you an idea of my long term friendship with Joe, he was guiding me before he met his darling wife Betty. 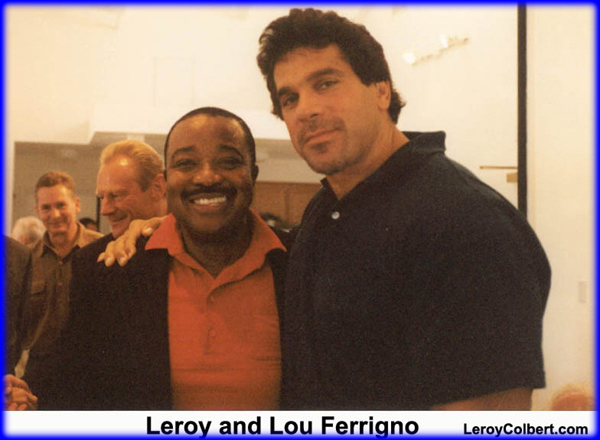 Lou Ferrigno of the Incredible Hulk fame and Leroy Colbert posing for the camera. 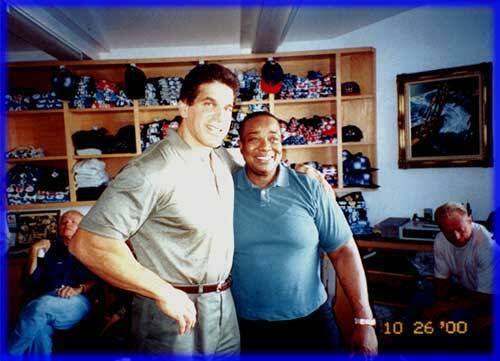 Lou Ferrigno, the Incredible Hulk and I, buddies since the eighties. 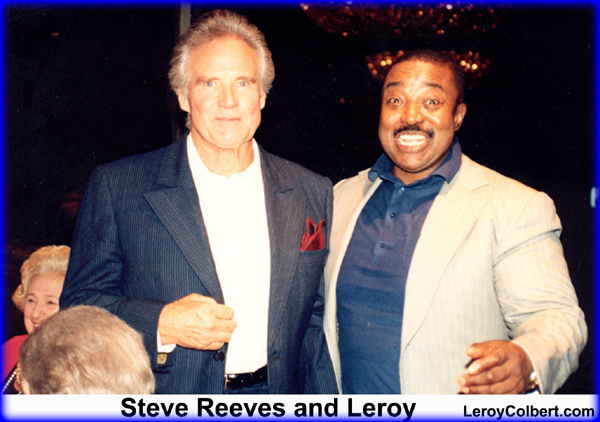 The late great Steve Reeves of bodybuilding and acting fame with Leroy. 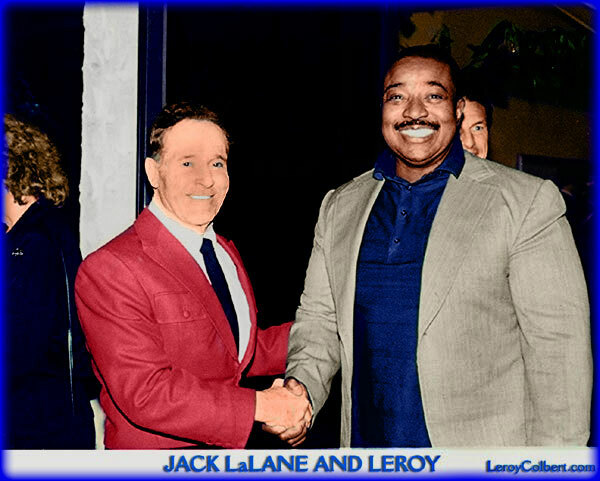 The ageless Jack Lalanne, the epitome of physical excellence, with Leroy. 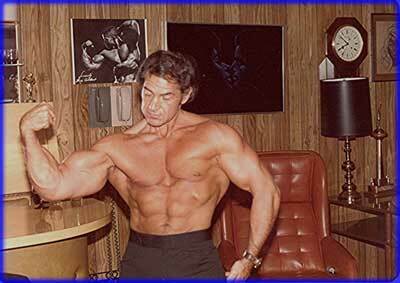 The late Vince Gironda innovator and former icon of body building, looking very stern as I bend his ear. 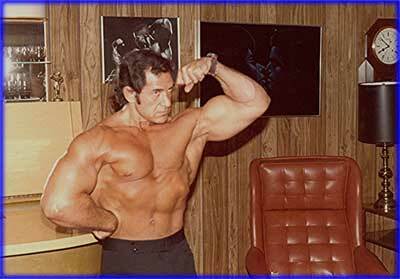 The young Franco Colombo posing in my basement gym at my house in Englewood New Jersey. 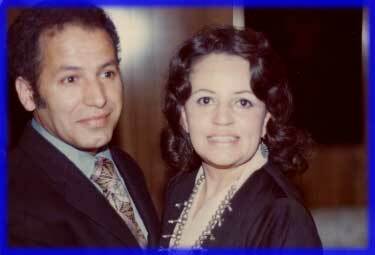 Roy Pacheco, one of the top body builders of the fifties and also a life long friend with his darling wife Alma, a special woman - I love them both. 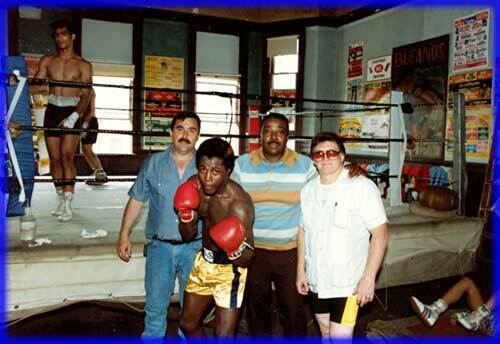 I tried my hand at managing boxers in the eighties. 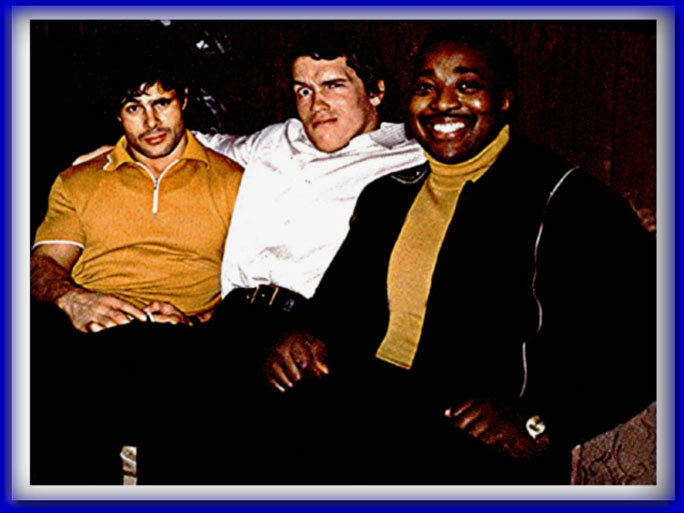 On the right is my partner and life long friend Bob Yorey, my boxer Terrence Ali who fought for the lightweight title, and the trainer. 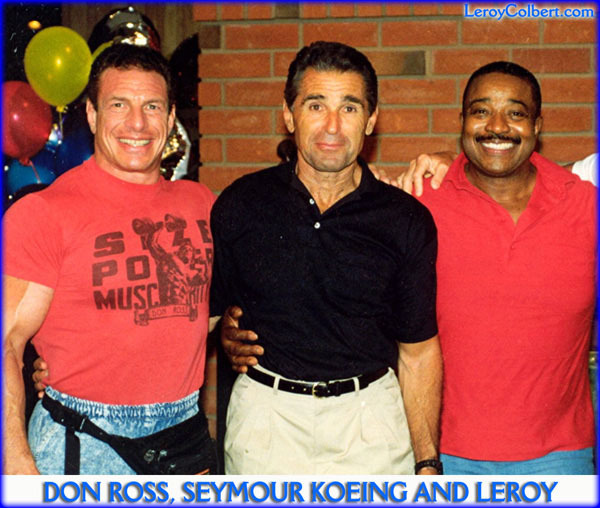 The late Don Ross, an icon in the bodybuilding world with Seymour Koenig a great bodybuilder and wrestler of the past with Leroy. 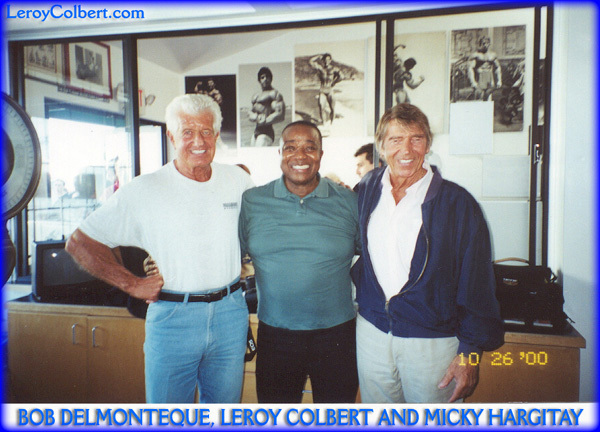 Bob Delmonte, another ageless wonder with me and Mickey Hargitay, once married to the famous actress Jayne Mansfield. 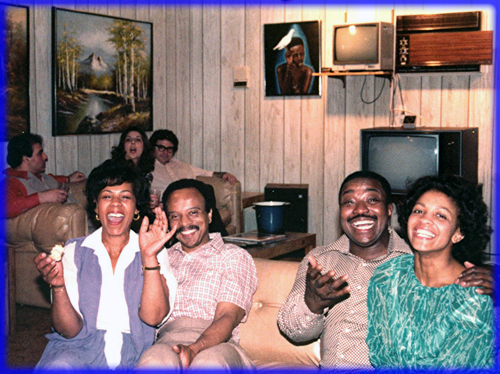 My best friend Lawrence Joseph and his fantastic wife Celia, with Leroy and the love of his life, my former wife Jacqueline, having a joyous laugh together. The phone rings 2006 on the other end, I hear a voice saying, hi Leroy this is Stanley. You are kidding? 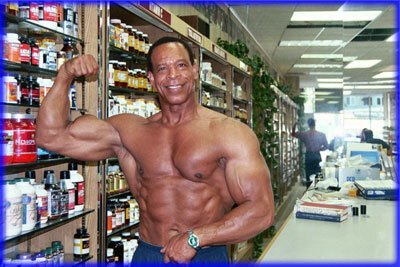 My old friend and training partner, Stanley nudelman! We have not seen each other in years. 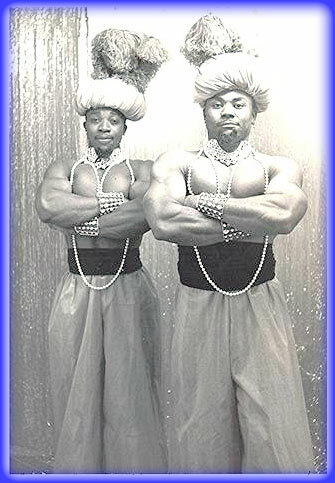 Stanley and Leroy on the roof of our gym in New York City posing, two eighteen year olds young dumb and full of, well fill it in. I love you Stan. 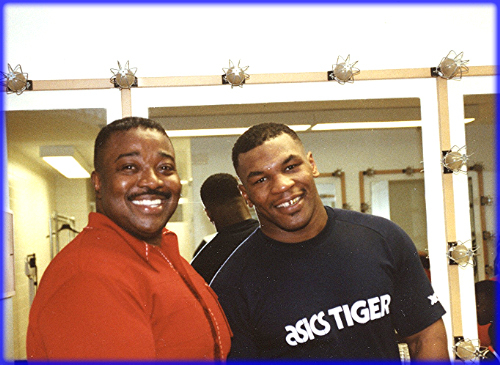 If you are not a big boxing fan, you probably never heard of Terrence ALi, a terrific lightweight contenter in the nineteen eighties who fought for the title twice. 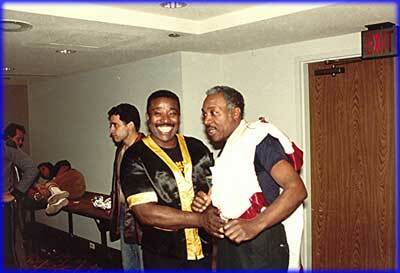 My good friends Bob Yorey and Lawrence Joseph were boxing fanatics. We invested a lot more money in Terrence's career than we ever got back, but boy did I enjoy the experience in the ring with the fighters, with my in full assistance. [back of photo] Regalia, what a life, joyously playing with one of the trainers. 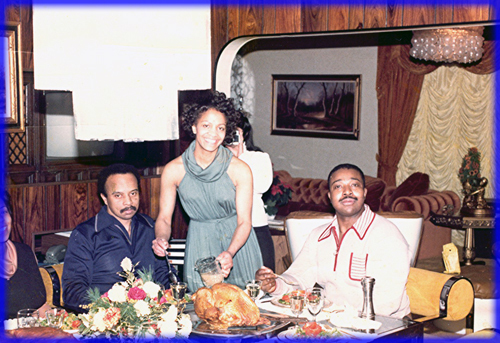 Larry and Leroy being served thanksgiving dinner by the love of my life, Jackie. 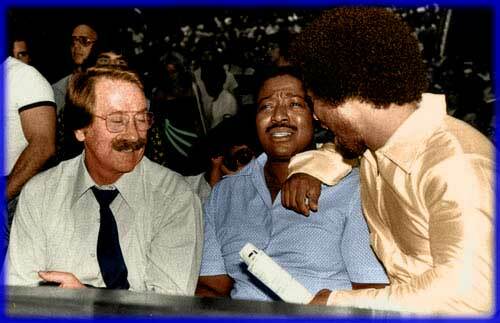 The late Gregory Hines, the impresario of dance with me and the ageless Zabo of abdominal fame. 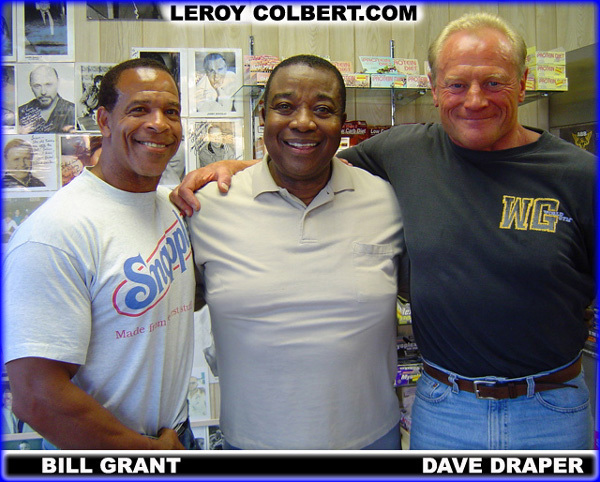 Leroy Colbert, the late Vince Edwards of tv Dr. Ben Casey series, and the great Lee Haney, winner of so many body building titles I have lost count. 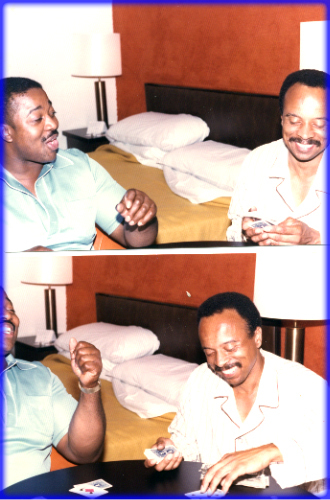 Lawrence and I trying to out slick each other in a game of cards in our hotel room in Vegas. Lawrence Joseph is truly my dearest friend from Elementary School to the present day without question Larry was always there for me. No words can describe my love and appreciation for him. May we continue our bond in heaven. 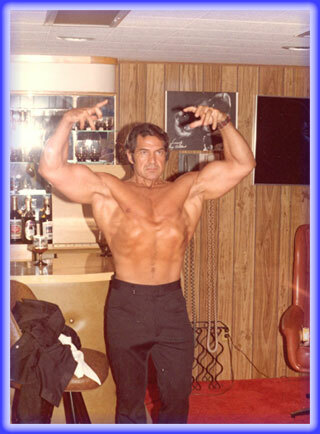 MY GOOD FRIEND REG LEWIS OF SIXTIES AND SEVENTIES BODYBUILDING FAME STRIKING A FEW POSES IN THE BASEMENT OF MY ENGLEWOOD NEW JERSEY HOME. NOTICE MY PICTURE ON THE WALL BEHIND REG.